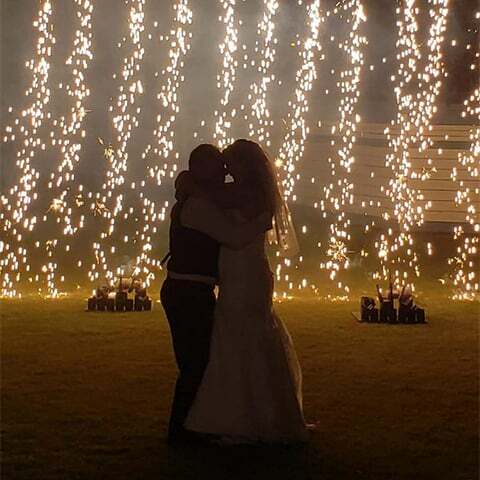 Aerial Fireworks is pleased to offer Special Effects Stage Pyrotechnics in addition to Close Proximity and Display fireworks to our valued clients for their very special day. 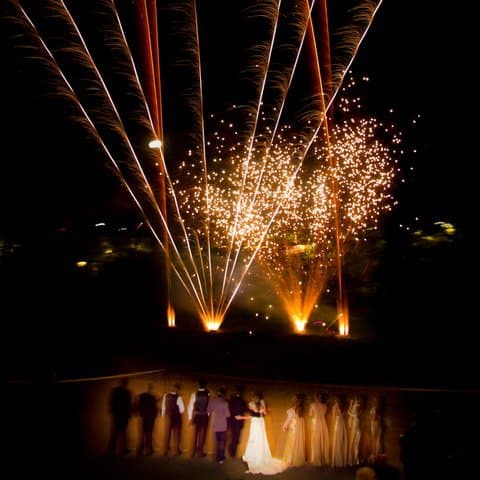 Your wedding is one of the most important days in your life and we can help make it extra special using our unique special effects and close proximity and display fireworks. Using our state of the art design software and digital pyrotechnic firing systems we can create magic for your entry, first dance, and evening finale. We can even choreograph your first dance pyrotechnics to your chosen music selection to create the magic you desire for your special day.